As reported by the New York Times and other outlets, CBD (short for cannabidiol) seems to be everywhere. For those not familiar with CBD, this cannabidiol found in cannabis and hemp can provide consumers with a range of health benefits without the high associated with consuming cannabis containing THC. 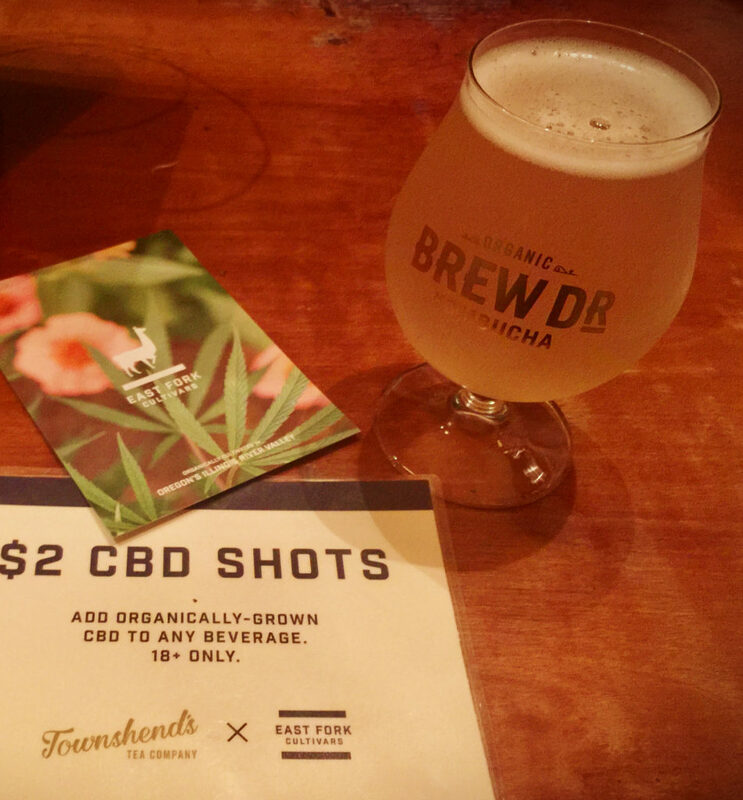 Given Portland, Oregon’s reputation as Brewvana and a mecca for cannabis, it should come as no surprise that craft CBD is making its mark in the Portland craft scene. For example, in 2018 Serra became the first major cannabis sponsor of a US food festival when they teamed up with FeastPortland. During this year’s festival held from September 13-16, 2018, Serra featured a CBD cooking class teaching participants how to make CBD-infused brownies. 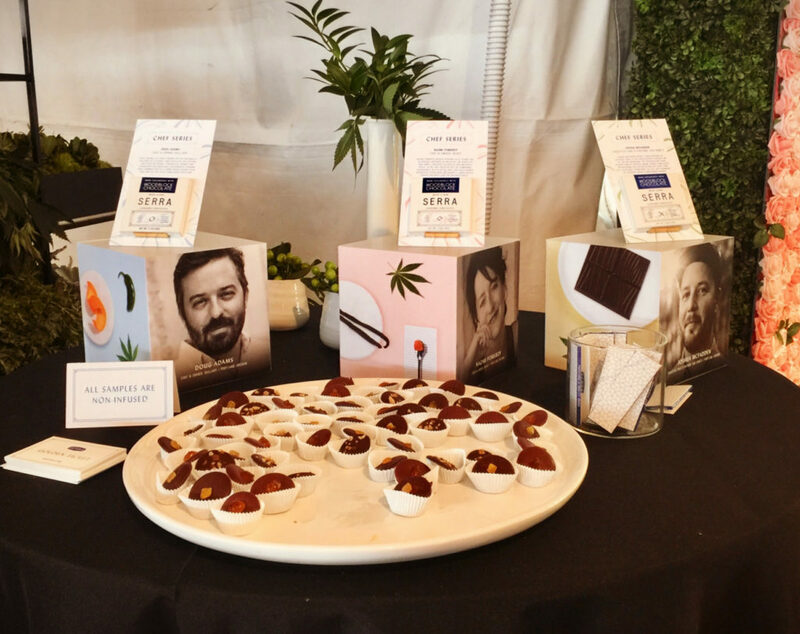 Also, they had a booth at one of the festival’s signature events where they offered non-infused versions of their cannabis chocolates that were crafted by popular chefs specifically for this event. The cannabis version of these chocolates were available for sale at their dispensaries. 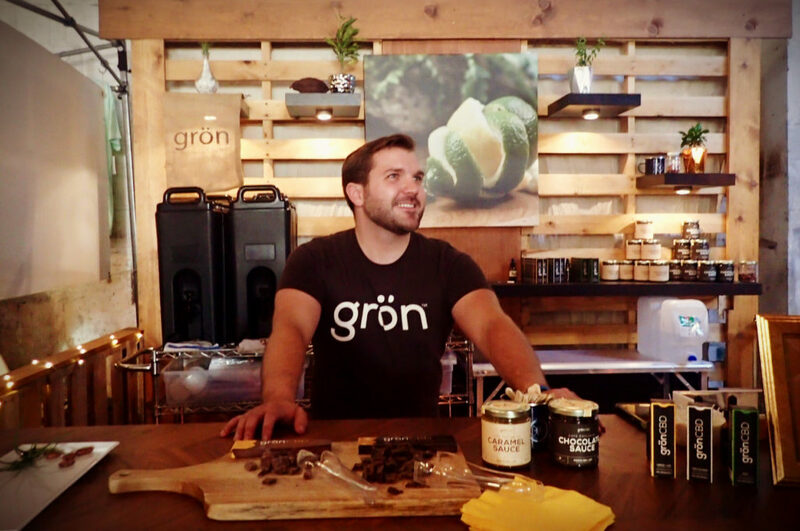 Over the summer of 2018, Grön CBD debuted the first CBD cafe. Here one can savor a hot mocha made using Grön’s CBD-infused chocolate syrup and sample some of their chocolate bars. Also, consumers can purchase their products such as their syrups, tinctures, chocolate bars, and a few products from their select partners. Their CBD is produced by a company called PureForm using non-cannabis natural botanicals. So, these products offer a gentle introduction into the world of CBD products for those wary of consuming cannabis. Then on October 4, 2018, Townshend’s Tea Company began offering customers the option to add CBD drops into their cup of tea, Brew Dr. Kombucha, matcha, or chai. These water soluble drops are made using East Fork Cultivar’s organically grown, single-origin craft hemp cultivated to the highest of sustainability standards in Southern Oregon’s Illinois River Valley. They dissolve into beverages completely and cleanly, so customers can savor the benefits of CBD without the oily residue or the bitter aftertaste often found in CBD tinctures. 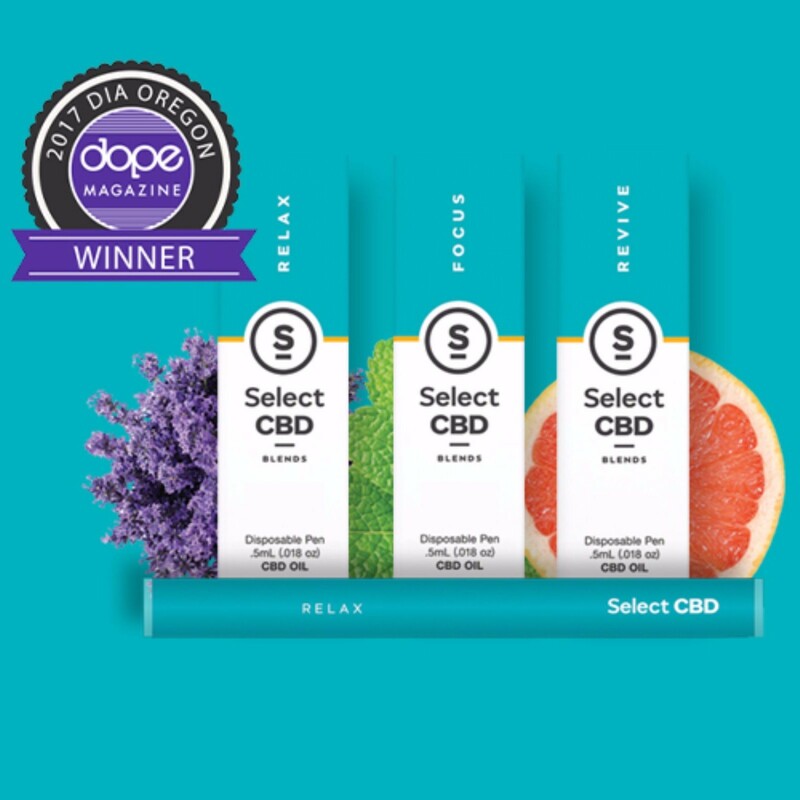 In addition, Oregon based companies like Empower Body Care feature a line of award winning hemp-derived CBD topical care products they produce through partnerships with craft cannabis producers such as East Fork Cultivars. As these products do not contain THC, they can be transported across state lines. Also, those who live in states where they cannot purchase cannabis products can often order hemp-derived CBD products online. With the planned passage of the 2018 Farm Bill, expect to see the market for hemp-derived CBD to rise substantially. With this growth companies like Origins, owned by Estée Lauder; and Coca-Cola are looking to capitalize on this market. However, with this increasingly commercialization comes the reality that many of these products are made with low quality hemp or in dosages too low to provide any of cannabis’ therapeutic benefits which range from reducing anxiety to easing chronic pain. Hence, consumers interested in purchasing quality CBD products that are grown using sustainable and organic methods should ask the same questions they do when purchasing other organic products. Where was the CBD sourced? How was this CBD processed? How much CBD is in this product? What other ingredients are added? By answering these questions, consumers can seek out CBD products that are good for their body and mind. Question: What kind of jobs are there at a cannabis dispensary? Are We There Yet? Marijuana Makes It In Oprah Magazine! Marylyn Media, Inc. works to bring cannabis into the mainstream by delivering high quality content to destigmatize and normalize the health, wellness, and lifestyle uses of the plant. Marylyn Media, Inc. © All rights reserved.